After 2 years of writing on AirsoftWarrior.net, producing videos for the Airsoft Warrior YouTube Channel, and coming up with new ideas to grow the airsoft community and help airsofters, I’m happy to say that Airsoft Warrior still has some new and exciting things to offer airsofters as we go into 2016! Here are some of the new and enhanced offerings I hope to bring to you guys in Airsoft Warrior’s 3rd year! What makes Airsoft Warrior grow and be able to provide better content is the community (aka airsofters like you!). In 2016, expect to see more questions being asked in the posts, comments, and social media for you guys to provide impute on. I’m always happy to hear new ideas for posts, social media, and videos. 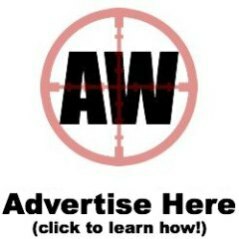 Let me know what upcoming events are happening in your local community so I can share them for other airsofters to see! Also, be sure to share your thoughts on airsoft news items or other airsoft websites! 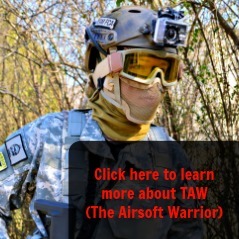 When you interact, you make this blog and airsoft better! Airsoft has done so much for me. I’ve made new friends, gained new skills, and enjoyed the experiences I wouldn’t have had with any other sport. But even with all the good qualities of airsoft, it’s coming under its heaviest attack yet. Almost everyday we hear about new criminal incidents involving airsoft, putting our sport in a bad light and convincing legislators and citizens that airsoft is little more than a dangerous game that should be banned. I hope to use the Airsoft Warrior resources in 2016 and beyond, to provide an encouraging and strong platform for airsofters to share the real story of airsoft. With your help, we can change the way airsoft is perceived by the general populace! And last, but not least, get ready for more videos coming to the YouTube channel! Better and more frequent Tac Shack, reviews, gameplay, and other airsoft related videos are planned to be released in 2016! If the community shows interest, live chats with TAW and more “podcast like” videos may be considered and created! Just let me know what type of media would be the most helpful to you so I can make it a reality! We had a great year in 2015 (we doubled AirsoftWarrior.net page views over 2014 for starters!). Let’s make 2016 twice as awesome! « Airsoft Tulsa: Montage of BOSS!